Handcrafted elongated star-shaped earrings with Erika Winters’ signature brushed finish, pavé diamond accents, and milgrain detail. 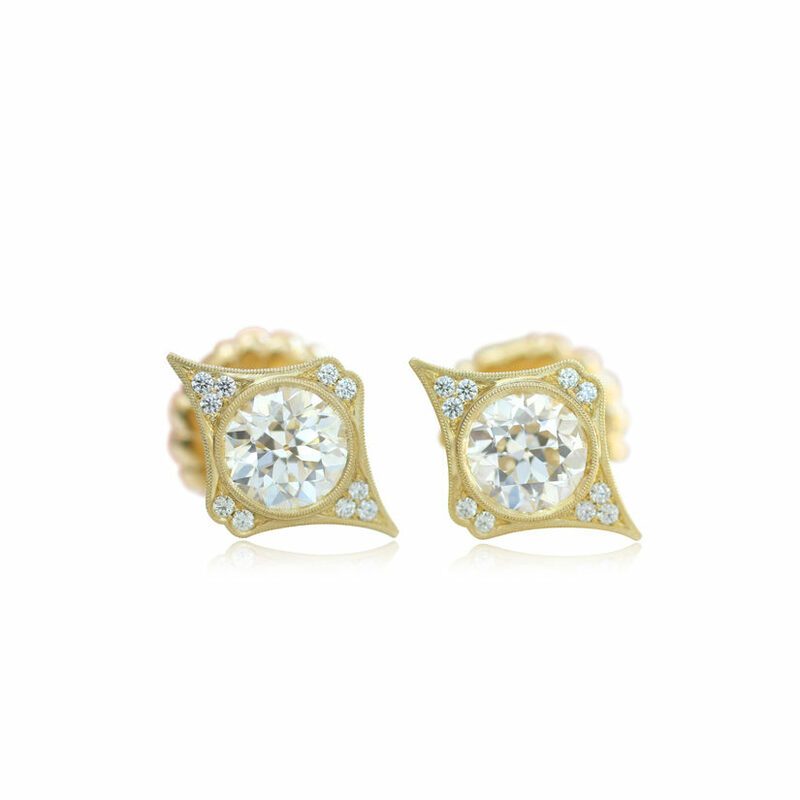 These stud earrings can be worn diagonally up the ear. The Estella Earrings, shown with a 1.60 ct. tw. 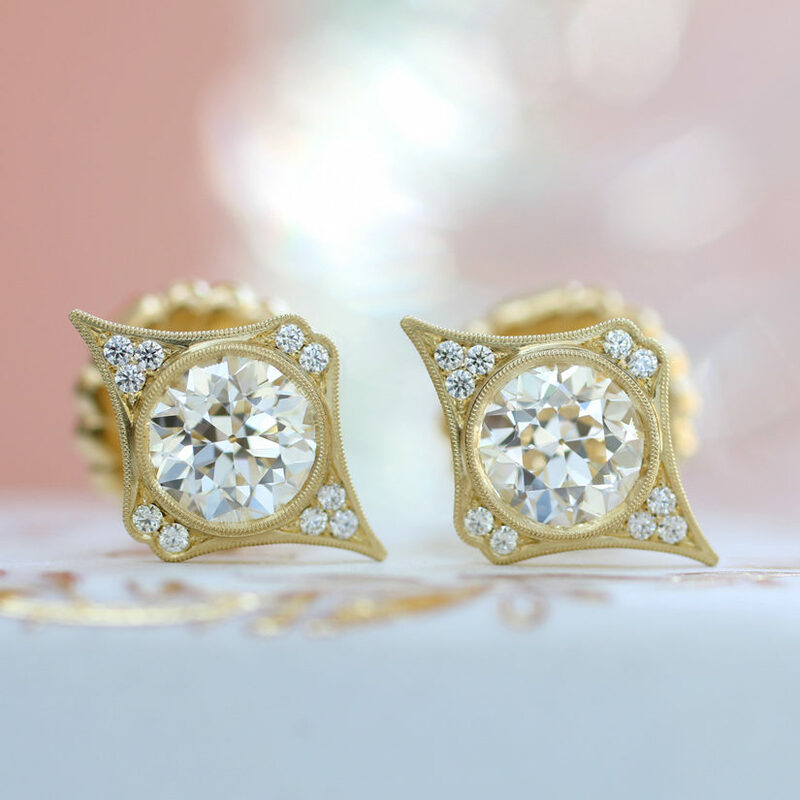 pair of old European cut diamonds, are available as a custom order in 18k yellow gold, rose gold, and platinum.